The code base discussed in this blog can be found on GitHub. A few days ago I put together an IPv4 WHOIS crawler using Django, Redis and Kafka and launched it on what should have been a 51-node cluster on AWS EC2. While the cluster ran I was able to identify several shortcomings of the code and style of execution. Nonetheless, I could also see that there were good performance characteristics that could be further improved upon. These findings are discussed throughout my blog post "Mass IP Address WHOIS Collection with Django & Kafka". Yesterday I sat down for a few hours and made some architectural changes to the code base and took it for another spin. First, all workers will now find out if the IP address they're looking up is within a CIDR block that has already been crawled on their own machine. This means the master node isn't performing CPU-intensive lookups on behalf of 50 worker nodes. To do this, each worker will speak to a local Redis instance that is a slave of the Redis instance on the coordinator. When a WHOIS query is successful completed, the worker node passes the result to Kafka. The coordinator pulls out every unique CIDR block it sees in Kafka and stores them as a single string value in Redis. Redis then replicates that key across all the slave nodes. That key is then used in the CIDR hit calculations on each worker. Second, all the Django-based processes on the worker nodes now run via Supervisor. If a process exits with an exception, a reasonable number of attempts are made to restart the process. If the exception is a one-off or a rare occurrence then the worker node can continue to be productive rather than just sit idle. Third, all worker nodes pull their configuration settings from Redis. I can set the configuration keys via a management command on the coordinator and Redis will replicate them to each worker's Redis instance. Workers are designed to wait and try again if they can't get the Redis key with the HTTP endpoint for the coordinator and/or the Kafka host. When they can see both of those values they will then begin working. This makes deployment of the workers a lot easier as I don't need to know any configuration settings for them in advance. Fourth, I've generated the 4.7 million seed list of IPv4 addresses in advance in an sqlite3 file and push it to the coordinator after the coordinator has been deployed. This saves me time getting the coordinator up and running and gets the workers to work faster. Fifth, I've created a management command to display aggregated telemetry so I can see overall progress when the cluster is running. To start I'll add a rule to the ip-whois-sg security group to allow all EC2 instances within the group to speak to one another on Redis' port 6379. Then I launched two on-demand instances using the ami-f95ef58a Ubuntu 14.04 LTS image. The first instance is a t2.small for the coordinator. It has the public and private IP addresses of 54.171.53.151 and 172.30.0.239 respectively. The second instance I launched was an on-demand t2.medium instance with the public IP address of 54.171.49.114. This instance will be setup as a worker, have an AMI image of it baked and then the instance will be terminated. The AMI image will then be used to launch 50 spot instances. The last time I setup this cluster I used Ansible to provision each worker and a number of them didn't provision properly even though multiple attempts were made. Not only is using an AMI more reliable, it's much faster than Ansible and its 1,000s of SSH connections. With those two instances launched I created a devops/inventory file. I then ran two SSH commands to add their ECDSA key fingerprints to my list of known hosts. I then zipped up the code base so that Ansible will be able to deploy it to the instances. With the zip file in place I was then able to run the Ansible-based bootstrap script. When that completed I checked the Supervisor-managed processes were running on the worker. It's important that when a worker instance is booted up that these three processes start properly. When Supervisor is installed via apt it'll install scripts to start itself when the machine is launched. Then, if the virtual environment wrapper script works properly and the code base is in place each of the three processes should launch correctly and consistently. get_ips_from_coordinator will take batches of 1,000 IPv4 addresses from the coordinator, see if each IP address hasn't been found in an existing CIDR block and if not, find the registry for that address and queue up the WHOIS lookup. celeryd runs the celery queues that look up WHOIS details on each of the five registries. celerybeat will feed telemetry back to Kafka that will be picked up by the coordinator node. Below is the supervisor configuration file. With the worker behaving as expected I baked an AMI image called 'worker' and terminated the on-demand instance. To avoid spending 25 minutes running a CPU-intensive IPv4 generation task on the coordinator, I ran the gen_ips management command on my own, more powerful local machine. I then compressed the 109 MB db.sqlite3 database file my local instance of Django was using, uploaded it to the coordinator and decompressed it in place ready to go. I then checked it was in the position I'm expecting it to be in and in the original, 109 MB form it was before. With the coordinator already up I now needed to launch a cluster of 50 worker spot instances. The smallest type of spot instance I can launch is the m4.large. I bid a maximum of $0.02 / hour for each of the instances bringing my total cluster cost to a maximum of $1.028 / hour. When I requested the spot instances I asked that they use the 'worker' AMI image I had baked. That way each of the spot instances would launch with all their software already in place and Supervisor can launch the three processes they need to run automatically on boot. Within two minutes all of my spot instances had been provisioned and were running. I then collected the public IP addresses of each of the worker instances and added their ECDSA key fingerprints to my list of known hosts. I then re-wrote my devops/inventory file replacing the original worker entry with the 50 new workers. I wish I'd written a fancy script for this task but instead I used some search/replace and column editing in my text editor to complete this work. Please ignore the naming strategy, it's not something I thought through. 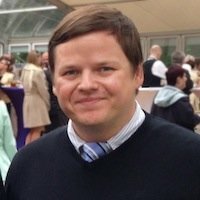 I've created a Django command that allows me to set the configuration the cluster needs by nothing more than giving the coordinator's private IP address. This value is then used to set multiple Redis key/value pairs. I then launched the reference WSGI web server and collect_whois process that monitors Kafka and creates the Redis key of all the unique CIDR blocks that have been seen across all the successful WHOIS queries. With those in place I'll tell each Redis instance across the cluster of worker nodes what the private IP address of the Redis master is. The worker nodes are already up and running but won't begin to work till they can collect their configuration from their local Redis instance. The master Redis instance already has these configuration keys in place and once the slaves have this information replicated to them they will get started. -a "echo 'slaveof 172.30.0.239 6379' | redis-cli"
I have two primary commands that report back on the progress the cluster is making. The first shows the per-minute, per-node telemetry which can be found simply by following the 'metrics' Kafka topic. Here is an example output line (formatted and key-sorted for clarity). The second command collects the latest telemetry from each individual host seen in the 'metrics' topic and sums their values of each metric reported on. This lets me see a running total of the cluster's overall performance. In the previous deployment of this cluster the coordinator was under heavy load from performing CPU-intensive CIDR hit calculations on behalf of all the worker nodes. I've since moved that task on to each of the worker nodes themselves. 45 minutes after the cluster was launched I ran top on the coordinator and one of the workers to see how much pressure they were under. The following is from the coordinator. As you can see it's pretty quiet. Here is one of the workers. It's using a fair amount of CPU but not an excessive amount. The networking and CPU loads are now better balanced. The Redis key that stores the list of CIDR blocks will keep growing as the cluster works its way through the workload. After an hour and 20 minutes of running the key's value had reached 700,771 bytes in length. Every time the coordinator updates the 'cidrs' key Redis replicates it to all 50 slaves. The more CIDR blocks in that list, the longer it will take each worker node to find out if the IP address they're about to look up is in that list or not. I would expect that the CPU and network usage would just eventually grow out of hand but the AWS CloudWatch charts showed the CPU on the worker nodes plateaued around 50% on average and the network usage, despite sending ~700 KB of data to 50 machines after every successful WHOIS lookup, was relatively low. After an hour and 15 minutes the telemetry management command was reporting a great deal of progress. 257,435 of the seed 4.7 million IPv4 addresses either have been or were being processed and 51% of those records required no external action. These performance metrics gave me a lot of confidence that if I were to spin up 200 spot instances to act as worker nodes that they could reliably perform their tasks and get through the lion's share of work in 3 to 4 hours. I did spot check the error log on one of the workers. AFRINIC and LACNIC were no longer responding to WHOIS requests but the other three registries were responding well. ... HTTP lookup failed for http://rdap.afrinic.net/rdap/ip/154.126.120.129. ... HTTP lookup failed for http://rdap.afrinic.net/rdap/ip/196.36.216.193. ... HTTP lookup failed for http://rdap.lacnic.net/rdap/ip/200.0.36.65. ... HTTP lookup failed for http://rdap.afrinic.net/rdap/ip/102.16.144.65. ... HTTP lookup failed for http://rdap.afrinic.net/rdap/ip/102.229.204.65. ... HTTP lookup failed for http://rdap.afrinic.net/rdap/ip/102.240.12.193. ... HTTP lookup failed for http://rdap.lacnic.net/rdap/ip/177.28.132.1. ... HTTP lookup failed for http://rdap.lacnic.net/rdap/ip/187.248.216.1. ... HTTP lookup failed for http://rdap.lacnic.net/rdap/ip/186.230.24.193. ... HTTP lookup failed for http://rdap.lacnic.net/rdap/ip/186.61.132.65. ... HTTP lookup failed for http://rdap.lacnic.net/rdap/ip/187.57.48.129. ... ASN registry lookup failed. I ran the following to collect the WHOIS results off the coordinator. The results file is 240 MB when uncompressed and contains 129,183 lines of WHOIS results in line-delimited, JSON format. How much IPv4 space was covered? I ran two calculations on the data. The first was to find how many distinct CIDR addresses were successfully found. The answer is 50,751. I then wanted to see how many distinct IPv4 addresses this represented and what proportion of the non-reserved IPv4 address space is covered. The cluster managed to find WHOIS details on CIDR blocks representing 2,390,992,225 distinct IPv4 addresses covering over 64% of the entire non-reserved IPv4 address space.